Internet trends, from December 16 to January 16, 2019. 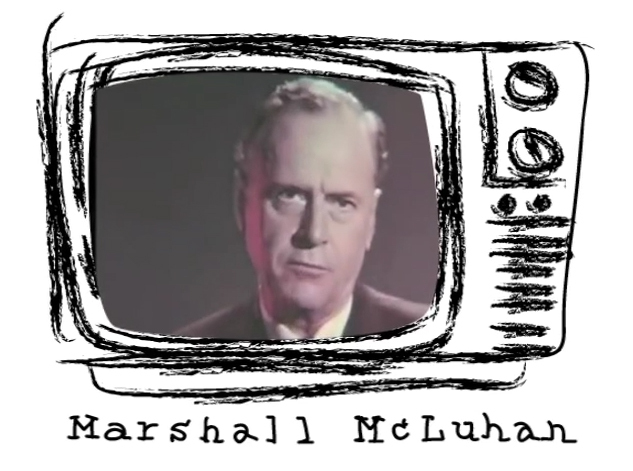 Marshall McLuhan, CC (July 21, 1911 – December 31, 1980) was a Canadian professor, philosopher, and public intellectual. His work is viewed as one of the cornerstones of the study of media theory, as well as having practical applications in the advertising and television industries. McLuhan is known for coining the expression “the medium is the message” and the term global village, and for predicting the World Wide Web almost thirty years before it was invented. He was a fixture in media discourse in the late 1960s, though his influence began to wane in the early 1970s. In the years after his death, he continued to be a controversial figure in academic circles. With the arrival of the internet, however, interest has renewed in his work and perspective. In his 1989 posthumous book, The Global Village, McLuhan, collaborating with Bruce R. Powers, provided a strong conceptual framework for understanding the cultural implications of the technological advances associated with the rise of a worldwide electronic network. This is a major work of McLuhan’s because it contains the most extensive elaboration of his concept of Acoustic Space, and it provides a critique of standard 20th century communication models like the Shannon–Weaver model. McLuhan distinguishes between the existing worldview of Visual Space – a linear, quantitative, classically geometric model – and that of Acoustic Space – a holistic, qualitative order with a complex intricate paradoxical topology. “Acoustic Space has the basic character of a sphere whose focus or center is simultaneously everywhere and whose margin is nowhere. 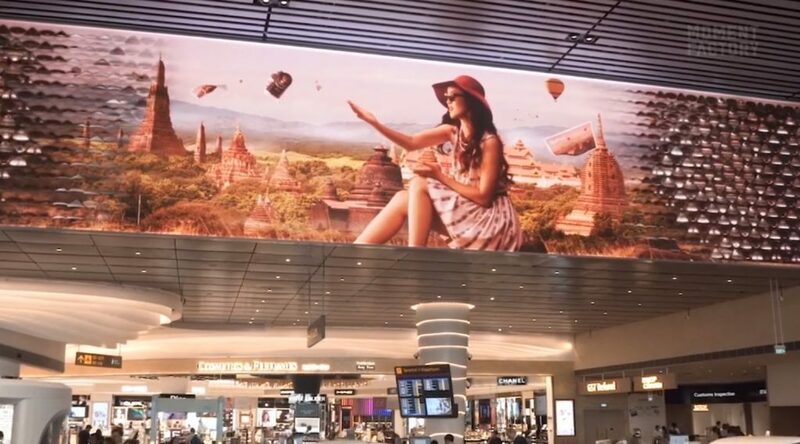 The transition from Visual to Acoustic Space was not automatic with the advent of the global network, but would have to be a conscious project. The “universal environment of simultaneous electronic flow” inherently favors right-brain Acoustic Space, yet we are held back by habits of adhering to a fixed point of view. There are no boundaries to sound. We hear from all directions at once. 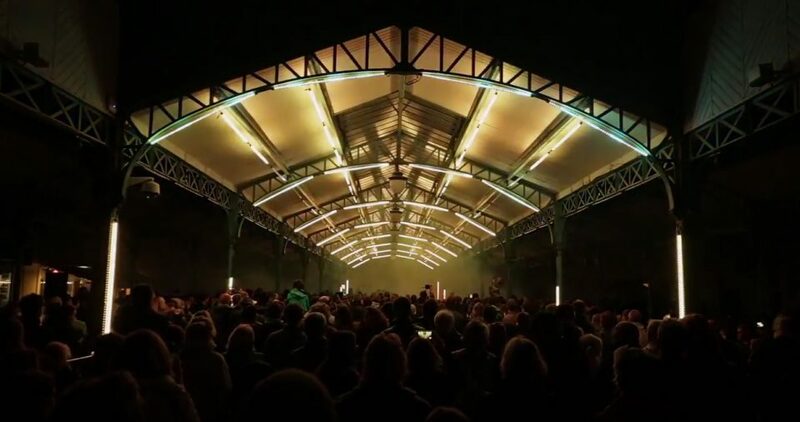 Yet Acoustic and Visual Space are in fact inseparable. The resonant interval is the invisible borderline between Visual and Acoustic Space. This is like the television camera that the Apollo 8 astronauts focused on the Earth after they had orbited the moon. Reading, writing, and hierarchical ordering are associated with the left brain, as are the linear concept of time and phonetic literacy. The left brain is the locus of analysis, classification, and rationality. The right brain is the locus of the spatial, tactile, and musical. “Comprehensive awareness” results when the two sides of the brain are in true balance. 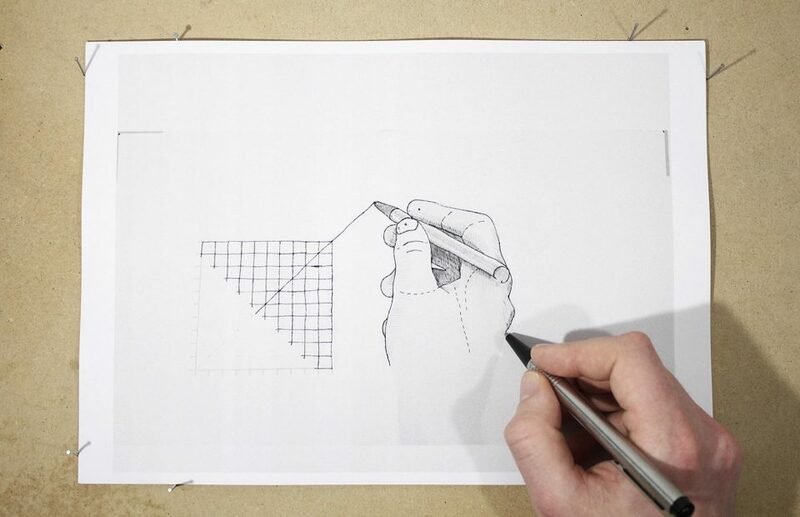 Visual Space is associated with the simplified worldview of Euclidean geometry, the intuitive three dimensions useful for the architecture of buildings and the surveying of land. It is too rational and has no grasp of the acoustic. Acoustic Space is multisensory. 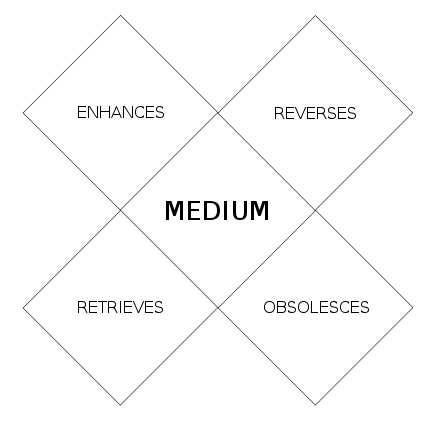 The Medium Is the Massage, published in 1967, was McLuhan’s best seller, “eventually selling nearly a million copies worldwide.” Initiated by Quentin Fiore, McLuhan adopted the term “massage” to denote the effect each medium has on the human sensorium, taking inventory of the “effects” of numerous media in terms of how they “massage” the sensorium. In The Medium is the Massage, McLuhan also rehashed the argument—which first appeared in the Prologue to 1962’s The Gutenberg Galaxy—that all media are “extensions” of our human senses, bodies and minds. Finally, McLuhan described key points of change in how man has viewed the world and how these views were changed by the adoption of new media. “The technique of invention was the discovery of the nineteenth”, brought on by the adoption of fixed points of view and perspective by typography, while ” the technique of the suspended judgment is the discovery of the twentieth century”, brought on by the bard abilities of radio, movies and television. The past went that-a-way. When faced with a totally new situation we tend always to attach ourselves to the objects, to the flavor of the most recent past. We look at the present through a rear-view mirror. We march backward into the future. The laws of the tetrad exist simultaneously, not successively or chronologically, and allow the questioner to explore the “grammar and syntax” of the “language” of media. McLuhan departs from his mentor Harold Innis in suggesting that a medium “overheats”, or reverses into an opposing form, when taken to its extreme.